2009 cbr1000 fork seal replacement, new seals set too far? I recently did a fork seal replacement on my 2009 cbr1000, all oem parts. 1 seal had a decent dripping leak, the other was not leaking. I ended up replacing both, but now the one that was not leaking leaves the fork tube slightly moist. Is it possible I set the fork seal too deep? 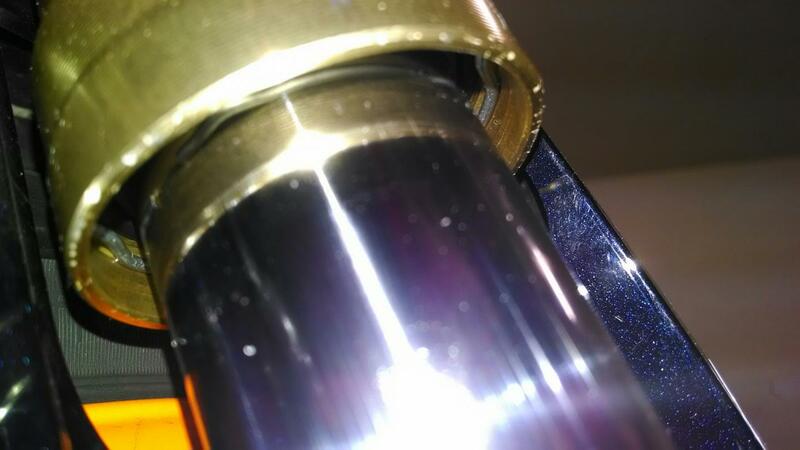 I took 2 pictures of the seal and there is a decent gap between the seal and clip that locks it in. I used a fork seal driver, didn't notice any damage on the tube. Was there a washer under the seal? Maybe one got left out. 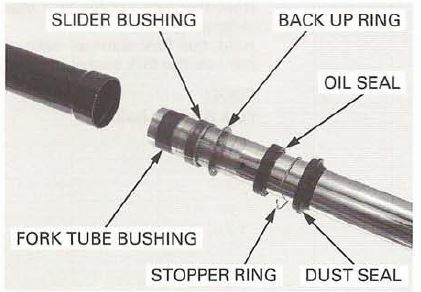 Without it the bushing can lift out and into the seal. The washer they actually list as a backup ring. Ive replaced fork seals in other bikes no issues. Just unsure if the seal went in too far or it was defective. I have a spare, will put another new one in again and see what happens. 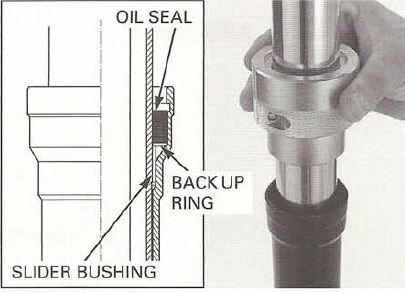 The seal can't go in too far if the backup ring is in place. I'm wondering if its not in there. Its definitely in there. What happened was the place I bought it sent me 1 incorrect seal, so I had this side sitting in the garage for a week wrapped in a plastic bag, its possible there is a piece of dirt that I missed during reassembly. Ill put another new seal in tonight. New seal went in that night. No leaks, must have been a piece of dirt or a defective seal. No leaks. 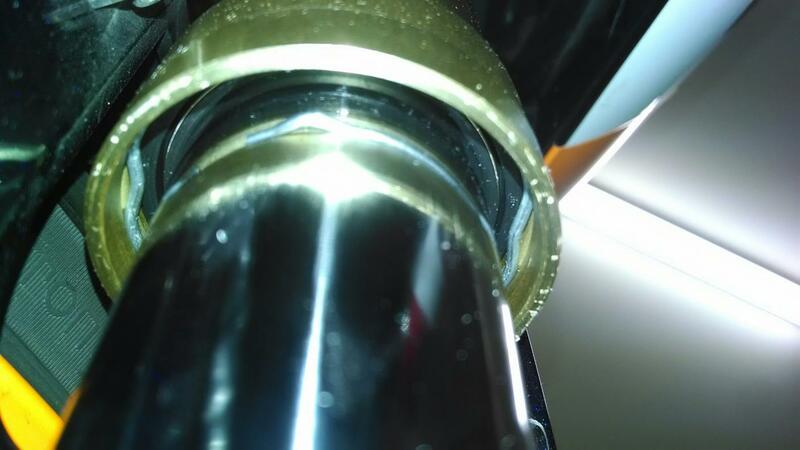 Quick Reply: 2009 cbr1000 fork seal replacement, new seals set too far?